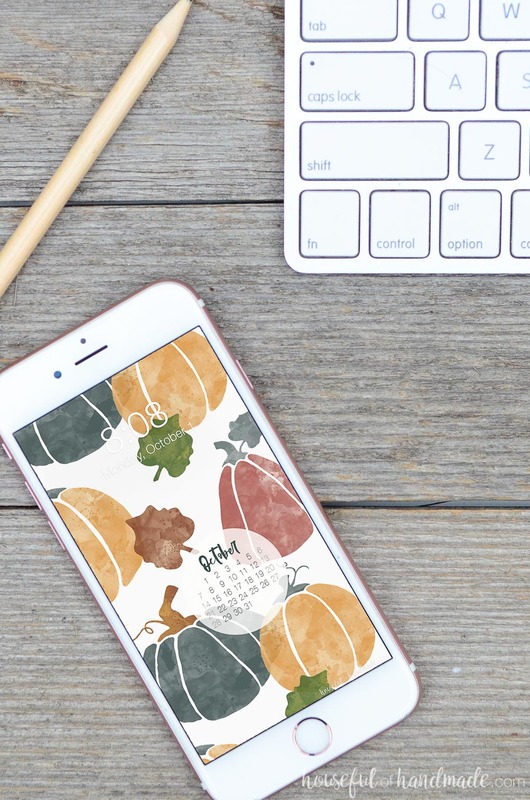 Bring the best parts of fall to your screens with these free digital backgrounds for October. Am I the only one who feels like September is a bit early to drown the home in pumpkins? Don’t get me wrong, I am all about eating pumpkin cookies and pumpkin coffee creamer as early as August. But I do like to use lots of other fun fall decor like apple picking and farmers market signs in to welcome in the fall. 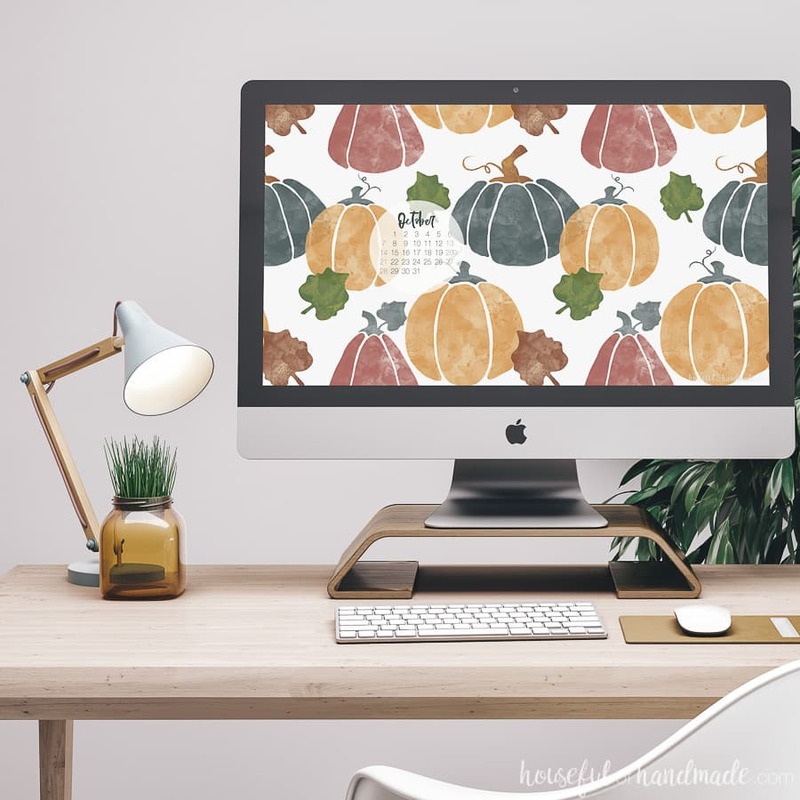 However, it is officially October so bring on the pumpkins… and they are the centerpiece for the free digital backgrounds for October! Sometimes I struggle getting my creative brain around a theme for the new month. It just takes a minute to find an idea that speaks to me. But October is easy! October is the perfect month for pumpkins! As the weather finally starts to cool off, and the leaves start to change colors, fall is in full effect. Nothing says fall more than pumpkins. 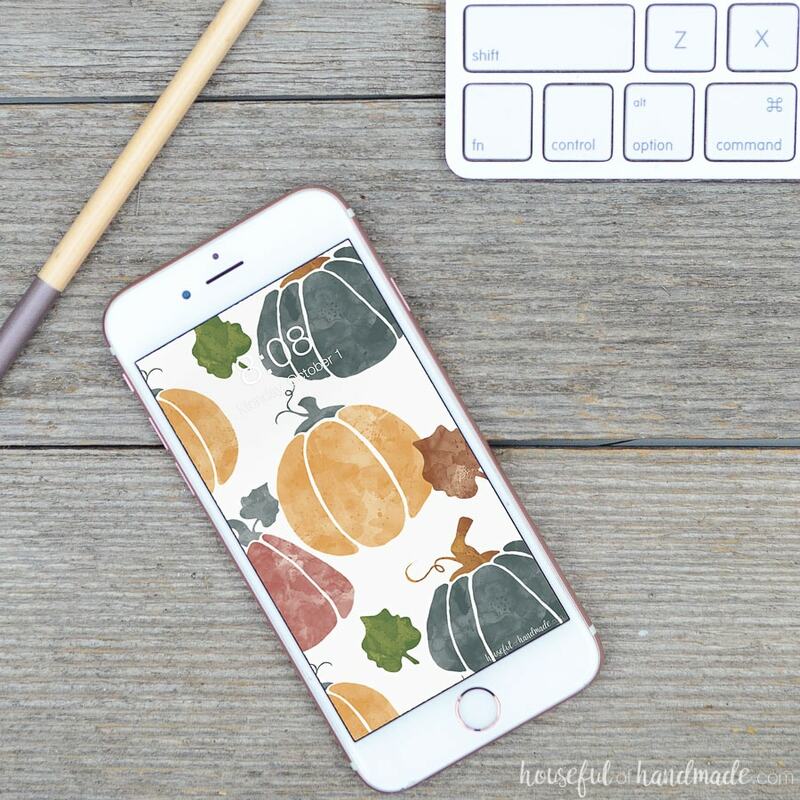 So I decided to make these beautiful fall watercolor pumpkins for the free digital backgrounds for October. But instead of sticking with the classic orange, I took a little artistic license and used some beautiful grays and pinks to compliment my fall pumpkins. 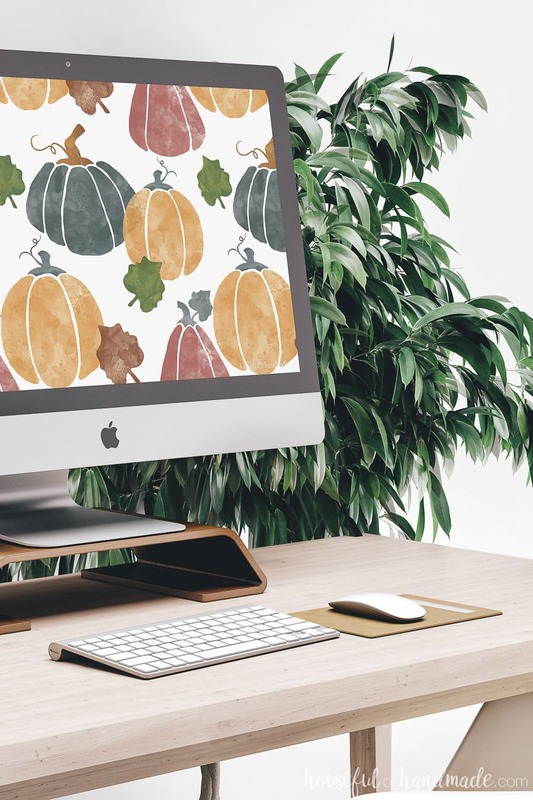 I am loving the muted fall tones of this new digital wallpaper. The colors alone scream fall to me. Now I am thinking I need to add some gray and pink pumpkins to our fall decor. Wouldn’t they be perfect on our fall mantel decor based on all our favorite fall traditions? If you are ready to turn your phone and computer screen into a pumpkin paradise too, click on the link or links you want below to download them. As always, there is a calendar or non-calendar option for each digital background.